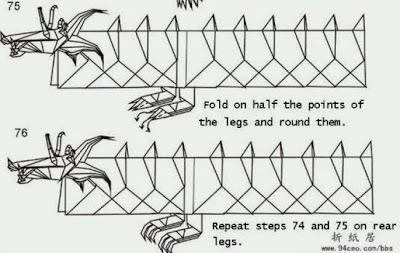 Folding the Diagram of this dragon origami I think is the most longest and the most hardest post I've ever posted in this blog. This is classified also as hard origami yet the most awesome at all. 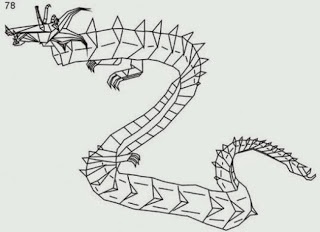 If you have patience, time and talent you can possible made this renown origami. 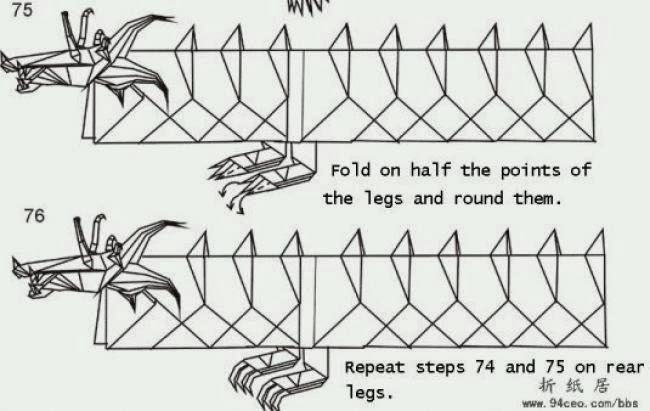 I don't know who folded this very complicated origami but for sure I can say that he is a real genius. By just looking at the result I can't imagine how to start this with my own understanding alone. Maybe even we have diagram still most of you will not follow or will not yield with the right one. This is the challenging part reading and following all 72 part of diagram one by one at a time, Wow!